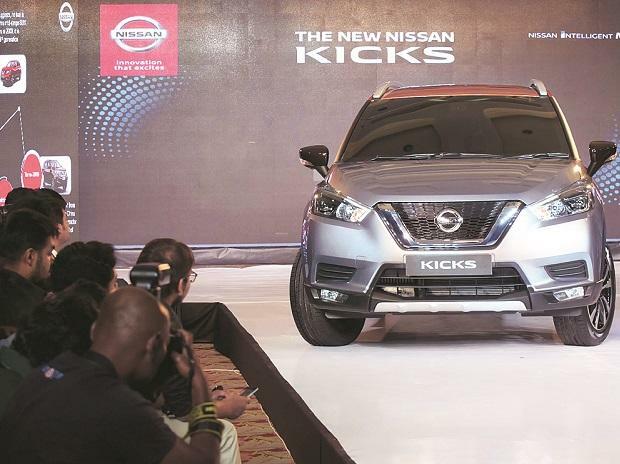 Nissan Motor India plans to roll out a subscription model for its cars as it seeks to boost presence in India’s passenger vehicle market where it has been a marginal player. To begin with, it will offer the scheme on its newly launched Kicks, a compact sports utility vehicle. The plan allows those opting for the scheme to subscribe the Kicks for a monthly fee, said two people aware of the scheme. Nissan plans to roll out the services next month. A company spokesperson confirmed the development. “Nissan will offer a subscription model as a unique way of getting behind the wheel of a Nissan Kicks. The package allows the customer to drive the Nissan Kicks home with zero down payment up front,” said the spokesperson in an email response. The monthly fee is inclusive of insurance, maintenance and 24x7 roadside assistance, he added. The scheme is applicable to all variants of and colours of the Kicks. The subscribers, he said, “will benefit as they do not have to pay hidden costs of car ownership, which includes vehicle registration, heavy interest on car loans, insurance, regular equated monthly instalments (EMIs), and the cost of associated paperwork.” The “intelligent ownership package” also provides an attractive and value-for-money vehicle-running cost of Rs 11/km. Further details will be announced soon, he said. Nissan’s subscription model will be akin to a lease rental plan. The maker of Micra and Terrano models will be the second carmaker in the mass car market to offer leasing as a product. In October last, Mahindra introduced leasing for retail buyers. It allows those opting for the scheme to lease a Mahindra KUV100 or an XUV 500 for up to five years. The lease rental model works like EMI on a loan. One needs to pay a monthly rental in case of leasing. The scheme may attract large multinational corporations and business owners as they prefer leasing over buying as it doesn’t require a down payment, which in turn frees up their cash flow, said analysts. The lease rental is calculated based on a residual value-based funding, which is the cost of the car once it is used for a specific duration. The residual value is estimated based on various factors such as car model, the city of registration, tenure, kilometres, and so on. The key factors in determining the leasing price are the tenure of the lease and the annual usage. The higher the tenure and distance travelled in a year, the higher will be the lease rental, and vice versa. “Leasing as a concept has been there for many years globally. Unlike the developed world, in India, leasing will appeal to a certain segment in the market but it will be very niche for the next three to five years,” says Kavan Mukhtyar, partner and leader, automotive practice at PwC, adding it is unlikely to change the competitive dynamics in any way in the foreseeable future. Others are more optimistic. “This could be a big trigger point for Nissan that has seen its volumes in India being stuck in low gear,” said an analyst, declining to be identified. In the ten months from April to January, Nissan sold 30,864 units, against 43,136 units a year ago, according to Society of Indian Automobile Manufacturer (Siam). Company’s market share during the period dropped to 1.10 per cent against 1.59 per cent. The lease rental model, said the analyst, will particularly appeal to young, upwardly mobile, working professionals who are invariably hopping cities and countries. A leasing model will allow them to surrender the car without any hassles, he said.